If someone had told me ten years ago that an niche genre video game series combining dating sim and dungeon crawl mechanics would emerge as one of the most-hyped Japanese role-playing game series since Final Fantasy, I would have thought said person was under the influence of some mind-altering substance (alternately I would have begged said person to join my scarcely-attended university anime club that I reigned over, but that’s another story). Yet this is certainly the case for Persona 4 Golden, the thrilling “sequel” to the original anime adaptation. I have not personally played the game itself, but from what I have seen in the first episode, this adaptation is shaping up to be just as complementary as its predecessor, if not more so. 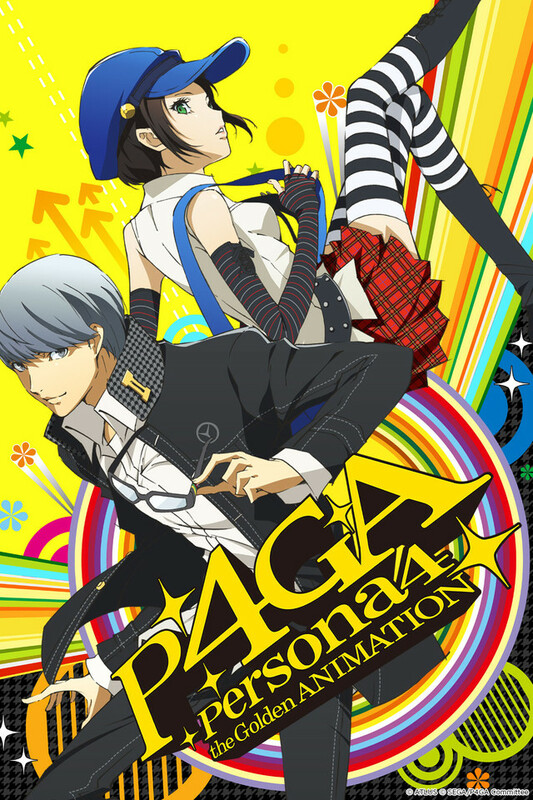 “Sequel”, as it is usually used, is a pretty insufficient description for this anime, which should be more aptly-named as a “new game plus”: a second playthrough of the major storyline with certain elements of the previous game progress retained (experience levels, items, abilities, etc.). 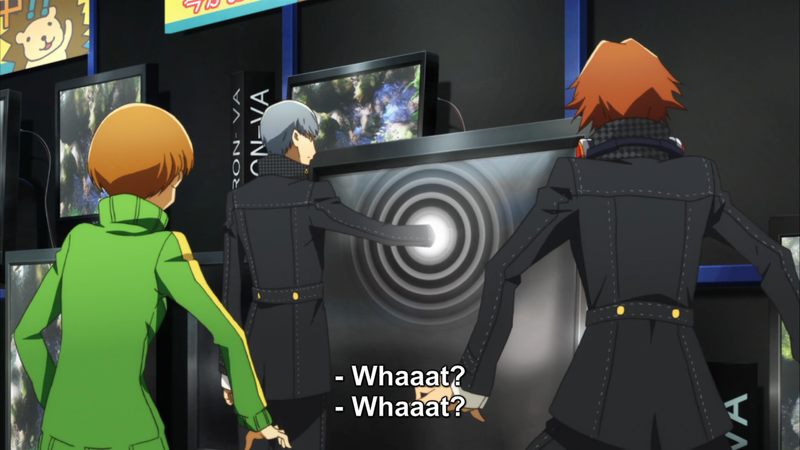 In that aspect, the main protagonist Yu Narukami “returns” to Inaba to relive the events surrounding the town’s gristly serial murders. 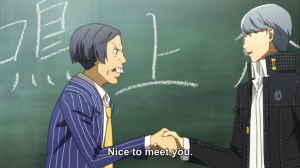 Yu and his newly-befriended classmates will once again task themselves with investigating the mystery and traversing the supernatural looking-glass world of Mayonaka TV (a.k.a. Midnight Channel) in order to find the truth. The main plot has been visited once before in the previous anime, so reintroductions have been mostly cut out in favor of “extra content”. The audience gets to see Yu in a different light: a matured, assertive, personable youth who navigates social situations with relative ease, grace, and a dose of self-aware humor. In an eerie sense, it is like he can predict the future and sense on a subconscious level what the correct course of actions are and instinctively acts upon them. This upgraded version of the main protagonist coincides with a certain prediction that the remainder of the series will consist mostly of fan service, yet even on that level, the first episode doesn’t fail to entertain. The episode also introduces a new “social link”, a character that will play a central role in strengthening Yu’s bonds with others. 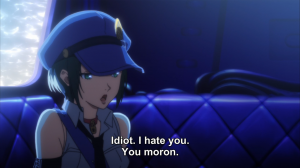 Marie is a resident of the Velvet Room, and it becomes Yu’s responsibility to take care of her as she emerges from isolation and interacts with the outside world for the first time. 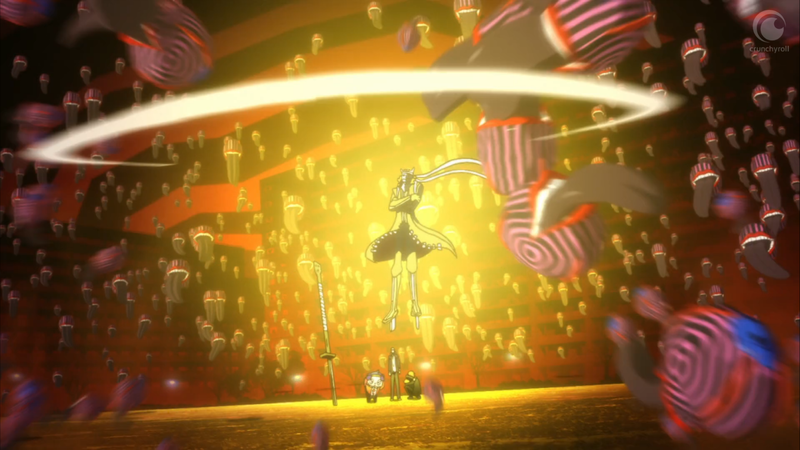 Since I lack the context of the Persona 4 Golden game, I cannot comment on whether Marie’s anime depiction is accurate or not. However, I can say for certain that her personality is very intriguing, and I hope that it will complement the rest of the series in a positive way. 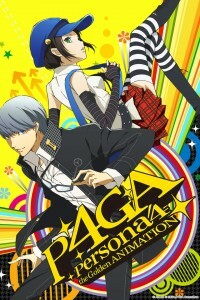 Thus far, Persona 4 the Golden ANIMATION looks very entertaining and shows promise. The opening sequence is hilariously reminiscent of cheesy 80’s-90’s sitcoms. There are noticeable changes from the previous anime in dialogue and character interactions in general that are outrageously funny. Furthermore, the grander-scale battles perfectly match the “New Game+” feel of the anime. This new series may possibly wind up cut shorter than the original, but I am still looking forward to watching more. You get a handshake! YOU get a handshake! EVERYBODY GETS A HANDSHAKE! Neo called. He wants his fight scene back. So tsundere. Much moe. Wow.